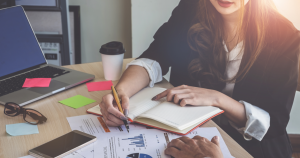 Whether you are a well-established business or a new start-up, you are bound to have questions about your small businesses bookkeeping and accounting needs.. 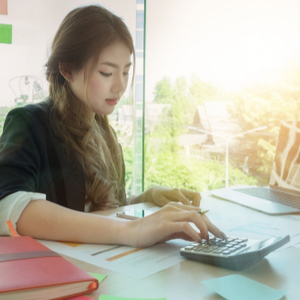 Unless you are CPA (Certified Public Accountant) or have a tax consultant on staff, you will have a hard time trying to find the guidance you need; which is why we will show you how to make accounting for your small business easy. A good place to start is creating a strategic plan that will increase your profitability without cutting corners and expenses. Consider spending more money on marketing to boost your sales and revenue. Get your product or services out to your target audience. Additionally, you need to look at your inventory. If you have merchandise that is not flying off the shelves, it is tying up your money and will affect your sales because you can not invest in other products or market strategies. Both of these points come down to one fundamental tip- Focus Your Efforts. Small business owners often make the mistake of trying to focus or juggle too many strategies or agendas. If your efforts and attention are disjointed, you are probably unable to do any of them well. Start with prioritizing and focusing on a critical aspect of growing your business. No matter what type of business you are in it is imperative to keep track of your finances at all times. If you don’t determine where your money is spent, you will be left with a guessing game. Each business expense you make should be categorized and labeled. If you do not track your cash flow, you will be bound to miss important tax write-offs. Those few dollars here and there add up quickly, and you can quickly lose track of your spending. Consider using a business credit card for your purchases so you can avoid a wallet full of receipts to keep track of. Also, you can earn cash back and rewards for your spending in return. If you need to use cash be sure to keep a digital copy in your accounting software. The more organized your inventory, the better. If you discover any discrepancies, you need to be able to act quickly. If you are a target for shoplifting or if you have internal theft it is important to know it immediately and address the issue. Keep notes of the date purchased, sold, sale price, stock number, and how much you paid for the product. Opportunities for miscounting your stock is everywhere which is why you need to be able to track it at every stage, from shipment, orders or purchases, and an account of broken or damaged goods. The best way to track your inventory is to invest the time in an electronic inventory system. If it is linked to your point of sale or POS system, this will make both inventory and financial tracking easier. Set aside one day a week to spot check your stock to make sure the count aligns with what you have on hand. When ordering inventory ask yourself the following questions to ensure you are ordering the appropriate amount of content and pricing it accordingly. Is your inventory cost is in line with your competitors? Is your stock priced to sell well? If you find yourself with too much inventory on hand the cause of this could be your product is priced too high. Your prices must be competitive or your quality must be far superior and must be presented as such. NOTE: Always use the 80/20 rule: 80 percent of your sales should come from 20 percent of your inventory. At TaxBandits we love supporting small business owners because we believe that when you succeed, we succeed! We are always here to help you successfully file your business taxes online on your own using our IRS authorized e-filing process!